Printchomp is established in May 2012 by Joseph Puopolo and Decaln Whelan. Printchomp is a real-time marketplace for print goods. They make the process of searching, ordering and tracking business’s print job easier. It has teamed up with leading global graphic design marketplace. There are various products, such as 3D printing, Blueprints, brochures, business cards, and etc. This is a tool make printing easier and smarter. Printchomp has a directory of over 50,000 printers at 500 locations in its extensive network. Printchomp can do a price comparision and help you to find the best print for you at the most efficient way. But how it works for your business? This video is derived from their official website that will explain it process. Are blogs out of date? Do people indeed read the blog posts? Why students need to write their own blogs? In this blog post, I will explain the reasons, statistics and benefits that why blogging is still important to you. The following facts will illustrate the data of blogs (Khan, 2012). More than 25% of bloggers are starting to use mobile blogging. There are 68,312 new blogs are formed every day, according to BlogPluse. Engaging readers: Blogging roles as a personal bridge to engage you and your audience. It could be a platform to communicate with different audience or even your potential managers. Improved level of confidence: English is my second language, I am quite unconfident in English writing. Since I start writing this blog, there are many unknown bloggers and people click “like” on my blogs. It is time for other people proving my writing. Additionally, blog tends to be a personal platform that doesn’t really focus on grammar and academic writing. Please trust me, if those one who have the similar experience as me, blogging is an excellent tool to build your confidence. Prove skills: Blogs can become one of your competitive advantages when you have interview with a new company. Blog is the best evidence to prove your writing skills and communication skills, rather than just talking about the skills you acquired in the two page resume. It could let the interviewers to deeply know about you and what you can do for the company. Personalize Branding: as a marketing student, you should not only master how to market yourself, but also learn how to brand yourself in different social media platform. Blogs can be one of your powers in how you connect and advertise yourself. It can also used to show why you are different than others. How to target the male on Pinterest? Every women surrounded me are addicted to Pinterest. Pinterest is a female-dominated social media site that allows customers to pin images, videos, and other object to their pinboard. 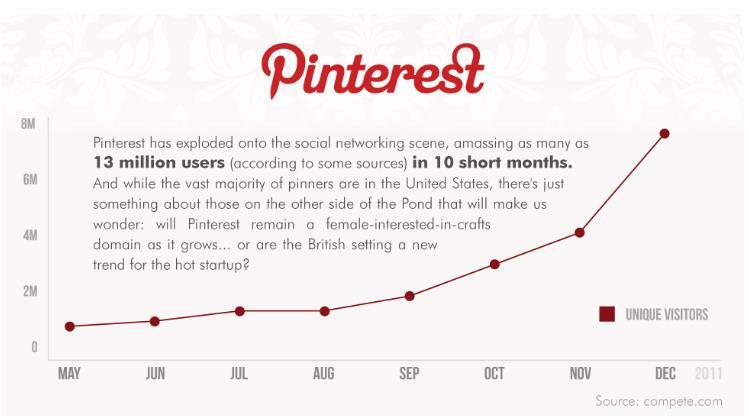 Currently, according to the Visually, Pinterest has been embraced with over 13 million users in 10 short months. In fact, 80% of the mainstream users are still women, but the male audience grows from 20% to 28%, according to Brangignity, March 2013. I strongly believe that male will share the pie with female in Pinterest in the coming three years. First thing the market should consider is guys’ general common interests. Pinterest is a new platform to let pictures talks rather than words. From my life experience with my male friends, there are several categories that they are highly interested in. Men Fashion: there is an increasing trend for the male to pay attention what clothing brands and what the trendy color and pattern they are wearing. What they are wearing is showing their taste as well. Cars: Cars are one of the things to present their social status. So let us see what companies and brands are using Pinterest to expand the male market. NHL: Currently, NHL, the national Hockey League, has over 1.3 million followers. 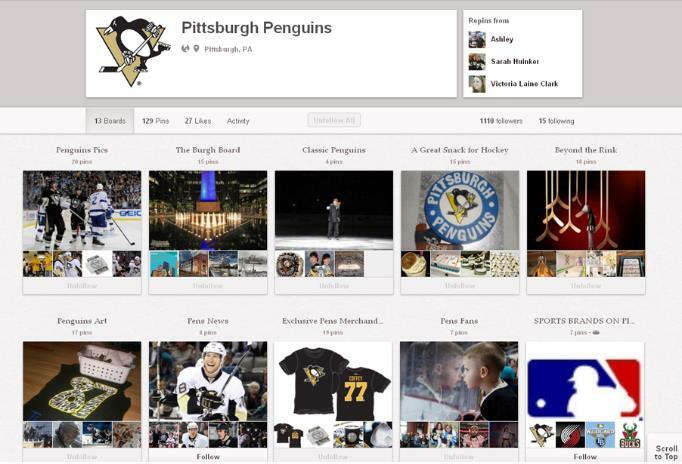 The Penguins accounts for 950 followers and Duck has different 12 boards. Using Pinterest can easier to generate more super fans attention. 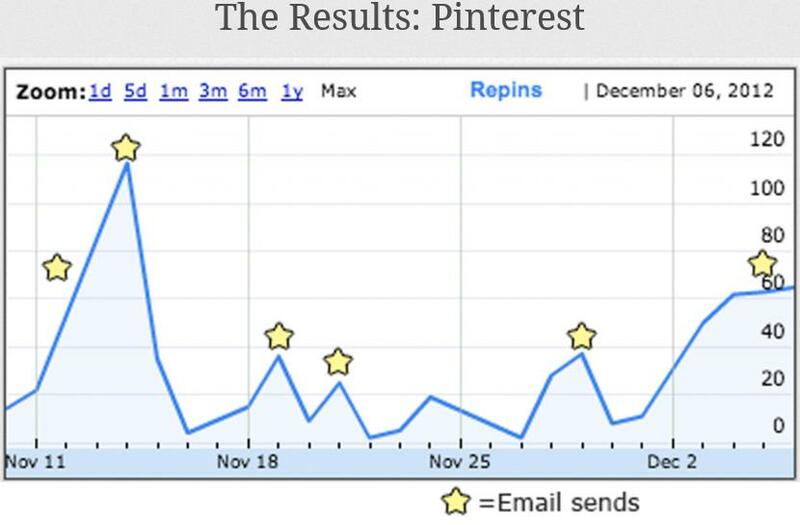 Karmaloop: Socially Targeted Email Marketing stats “Between November 12 and December 5, Karmaloop has gained a 204% growth in revenue from Pinterest and a 419% growth in followers with socially targeted email marketing from PinMail by PinLeague” Additionally, the sit traffic grew from 114030 to 139320 and the revenue grew from $5145 to $15656. What is the future of the Location Based Social Networks? Location-based social networks have brought numerous benefits to customers and business companies. The location-based social networks can be used massively in the future, except connecting with friends, locating themselves and reviewing restaurants. Based on people’s daily life, I have come up with three promising outlook how the future of the location-based social networks is. Shopping mall location-based social networks: shopping malls have huge opportunities to take advantages of the location-based networks by sharing information which customers may need during shoping in the malls. For example, Metropolis shopping mall, the largest shopping mall in BC, has 5 floors and more than 450 retail stores. Customers are so easier to get lost in shopping mall. So what can large shopping mall use location-based social networks to solve the problem? Customers can use the location-based networks to access every store, location themselves in the mall and find the fast route to the next store. Customer may also can read reviews about stores’ products and check what deals or coupons the stores offer before they set foot in an individual shop. Having it on customers’ mobiles can enhance their shopping experience and make shopping more effectively. Parking lot location-based social networks: Have you ever complain about why there is no parking lot available in downtown? Where I can find the free parking lot? These location-based applications have opportunities to help users to find the nearest parking lot or available parking lots depending on their current geographic location. It can save customer more time when driving around to find a spot. Second, in the future, customers maybe can reserve a parking lot in the nearest parking if they book a table in the restaurant in a specific time. It can bring a special and delightful dinning and parking experiences to customers. Location-based companies merge together into a big corporation: when I research about the location-based social platforms, most of them share the similar features, which is easier for customers to lose interest and get tired of these similar applications. As far as I predict the future, it has possibility for the small location-based companies to merge into a big corporation.